It takes time to build a successful ad campaign on a new platform. 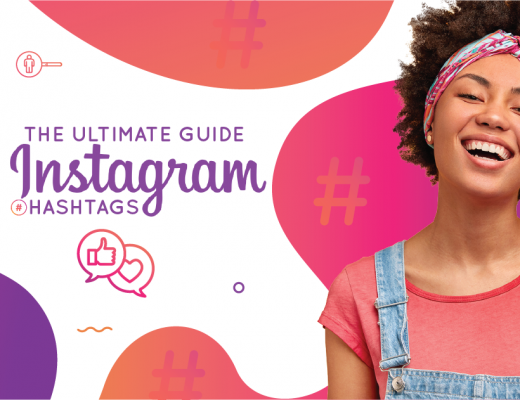 Instead of spending months in a learning curve, get straight to ad campaign success on Pinterest with this 4-step guide. Cut through the long “how-to” process with straightforward information that gets your brand in front of people ready to buy right now. There’s a ton of information available on Pinterest advertising – you could get lost in it for days! Instead, let us help you get the edge on your competitors and soak up some of that pinner love as quickly as you can. Ready to reel in the $$$? We’ve got you covered! Scroll to step #1 below to get started with Pinterest advertising. More than 250 million people turn to Pinterest for ideas on what to buy next. Nearly all pinners use the platform to research what they’re looking to purchase. Over 80% of pinners make purchases based on pins. Almost 60% of people earning $100,000 a year use Pinterest. Pinterest advertising offers sophisticated audience targeting, robust analytics to measure your ad and content performance, and a variety of ad formats to choose from. People on Pinterest like to take action, and this gives your brand a chance to get out in front of people who are ready to buy. Pinterest is highly effective for campaigns that hope to build brand awareness, sell products, or drive app installs. Pinterest advertising is an excellent choice for brands that wish to reach shoppers who are ready to purchase. Follow the 4 steps below to get your brand advertising effectively on Pinterest. There’s 3 steps you need to take before creating your Pinterest advertising. A. Create a business account. If you haven’t opened a Pinterest business account, then you’ll need to do this before you take any other steps toward advertising. B. Get familiar with Pinterest Analytics. Once your business account is open, you need to open your Pinterest Analytics account. This is a simple process that opens up free insights about the content you post and share on Pinterest. 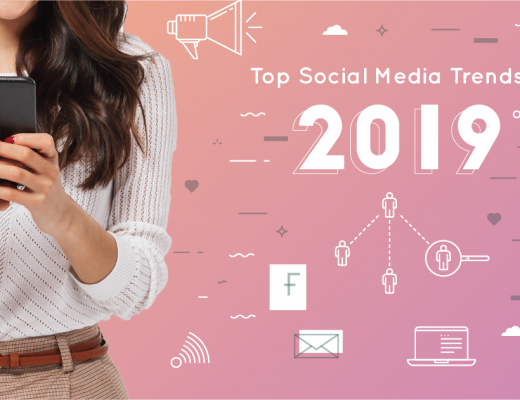 Most importantly, Pinterest Analytics offers valuable information about your audience that will help you build your ad campaigns. C. Install the Pinterest tag button. The Pinterest tag button is a bit of code that you add to your website. It offers insights about your traffic and conversions by showing you what people do after they interact with your paid ads. 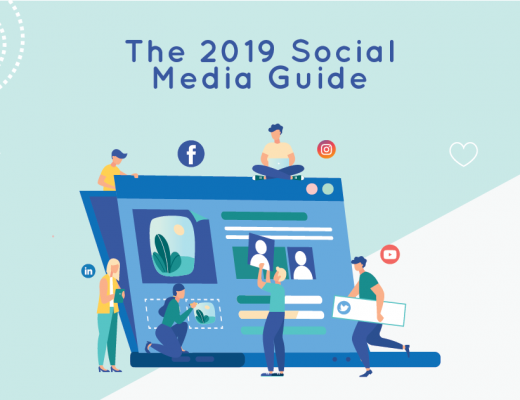 This data helps you measure the results of your campaigns and target audiences that are most likely to engage with your ads. To install, visit the Pinterest tag generator, which will generate your code and walk you through how to install it on your website. 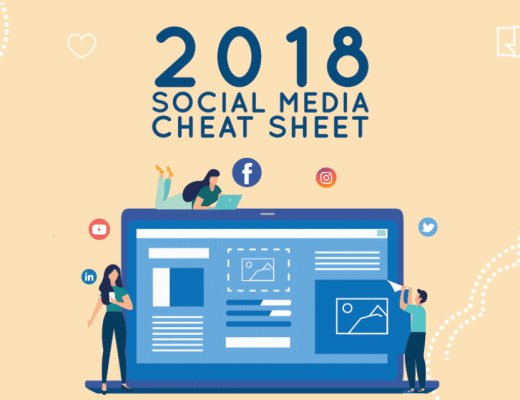 Once you’ve created a Pinterest business account, become familiar with Pinterest Analytics, and installed the tag button, your advertising prerequisites are complete. Now you’re ready to begin planning your ad campaign. Before you begin choosing formats and creating ad copy, take time to define your campaign goals and key performance indicators (KPI’s). What types of goals can Pinterest advertising help you achieve? Before you begin creating ads, choose one campaign objective. This goal will help guide your creative efforts and placement decisions as you move forward. Set goals with KPI’s that are measurable, such as email signups, sales, or app installs. This will let you monitor the results of your campaign along the way. Pinterest offers 4 different types of ad formats to help you meet your objectives. You can choose one format or mix up the different types of adds you use in a single campaign. 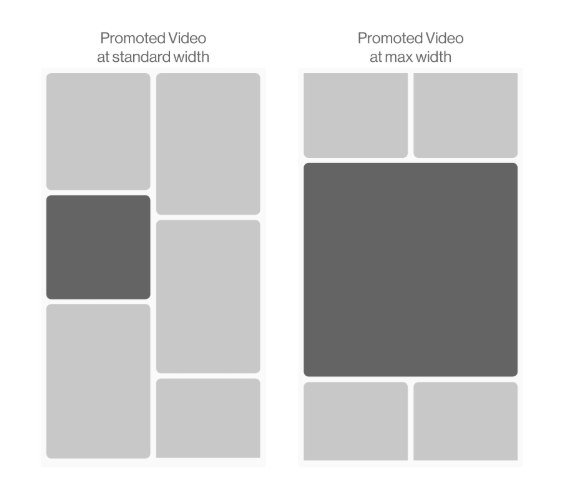 Below is an explanation of each ad format with examples and tips for creating successful ads. 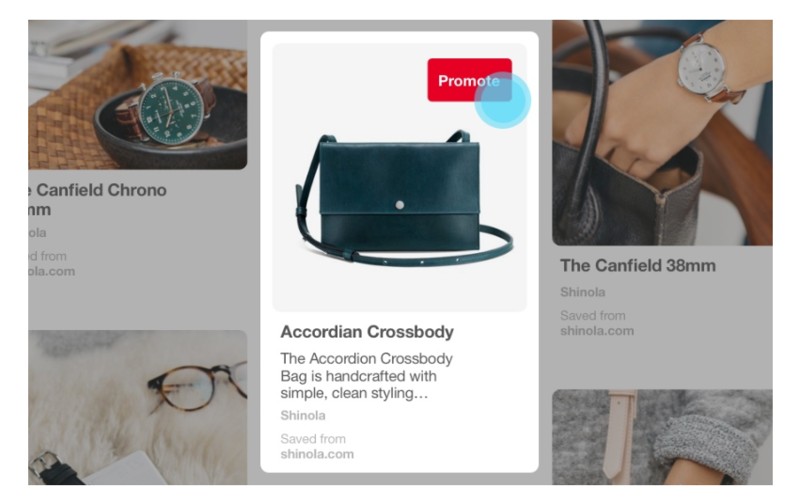 Promoted pins are Pinterest’s most basic ad format. When you pay to promote a pin, it gets shown to people outside your current audience. A. Tap the “promote” button on any of the pins that you’ve created. B. Fill out the information in the form that pops up. 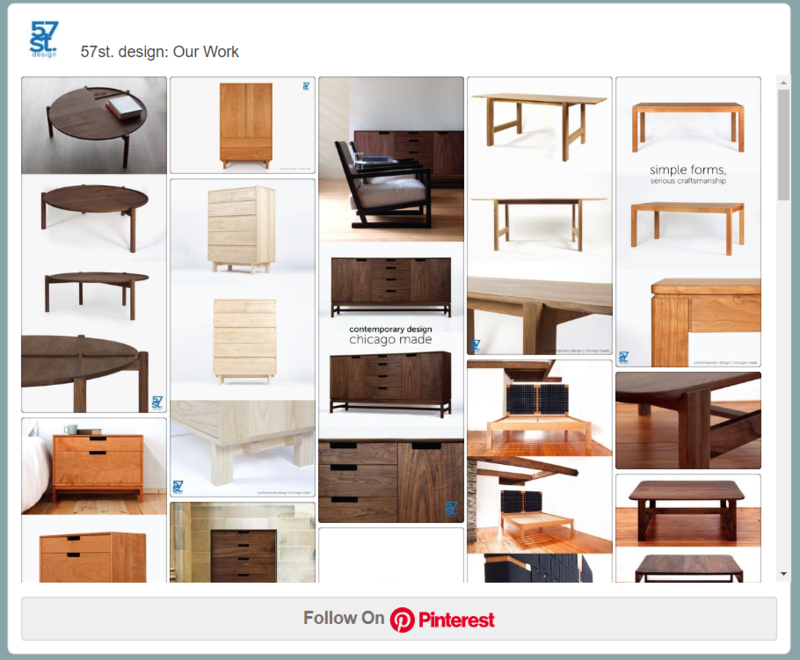 Design/Manufacture/Retail company 57 Design is a huge fan of Pinterest promoted pins. TIP: Try promoting your most successful pins. 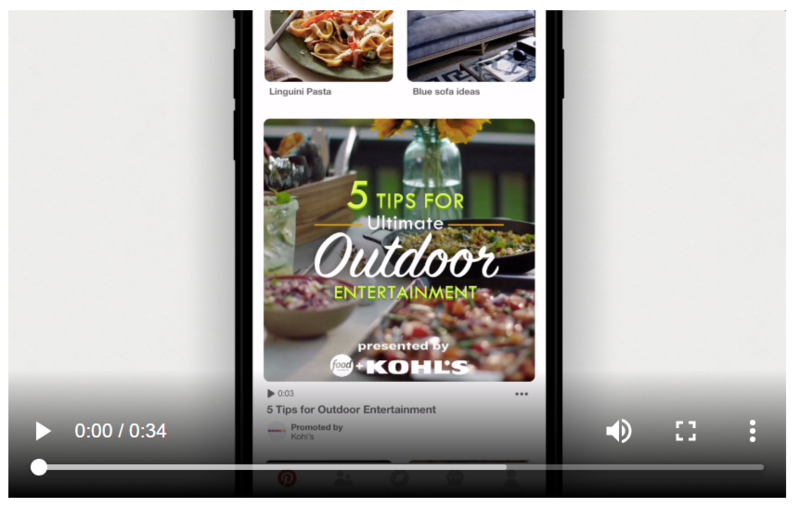 Pinterest’s video ad format is perfect for those occasions when you want to grab attention or inspire people to try new things. Pinterest offers two different formats for promoted video pins – standard width and max width. Max width video format is plus because it spans the entire width of the feed on mobile devices — so it’s hard to miss! When you promote a video, it shows up in Pinners’ home feeds, search results, or “more like this” sections. When you place a promoted video, you have many audience targeting options. You can choose from a long list of audience, keyword, and interest options. You can place promoted video pins by visiting the Ads manager on Pinterest. Cheetos brand used autoplay video pins to share a funny video and pinners loved it. People who viewed the ad said they were 51% more likely to buy Cheetos after seeing the promoted video ad. Promoted video pins are best for: Use promoted video pins to increase brand awareness. TIP: Follow Pinterest reporting on your videos ads – closely! The reporting helps you learn things like whether people are watching part of all of your videos. This helps you create more effective videos in the future. 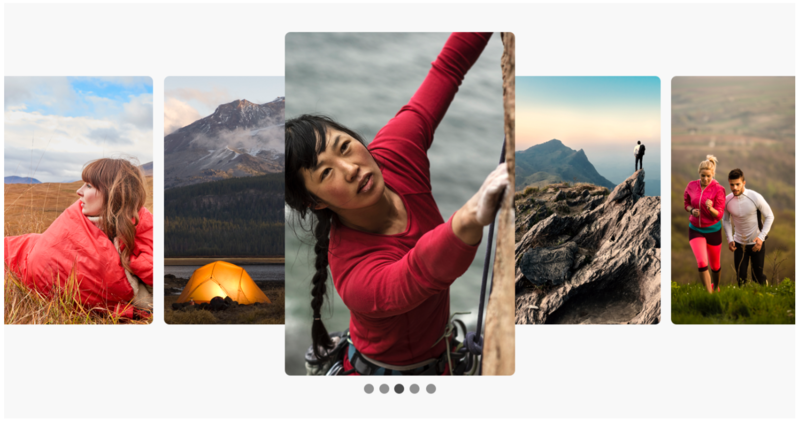 Pinterest carousel ads let you combine up to 5 images into one ad. 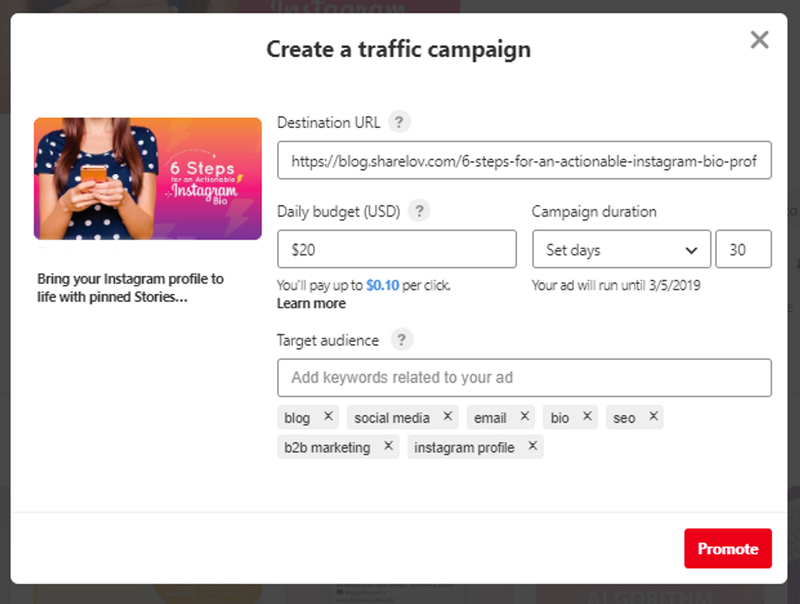 You can create a Pinterest carousel ad by visiting the Pinterest Ad Manager, where you’ll be able to target your audience with a wide selection of options. Outdoor coop REI likes that carousels allow them to showcase various products and experiences in a way that inspires engagement. Promoted Carousels are Best for: Use promoted carousels to boost traffic and conversions and increase brand awareness. Promoted app pins help your brand get more mobile app downloads. 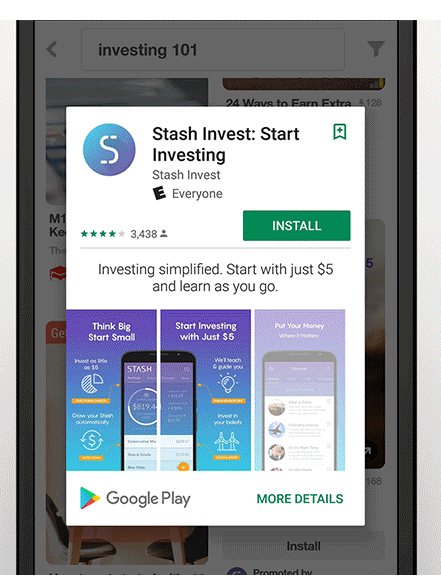 This type of ad format lets pinners install your mobile (IOS or Android) app directly from Pinterest. The install process is simple and quick, saving the user a trip to the (often overwhelming) app store. To place a promoted app pin, visit Pinterest Ad Manager. Fitness and nutrition brand 8Fit gets up to 50% higher subscription rates on Pinterest than on any other platform. Using Pinterest promoted app pins, 8Fit was able to drive app installs and increase paid subscriptions significantly. Best for: Promoted app pins are best for helping people discover and download your app. TIP: Take a pointer from 8Fit’s success. Start by targeting a narrow audience, then widening your reach once you get a sense of what’s working. Once you’ve chosen your campaign objectives and ad formats, you’re ready to begin the creative process. Here are a few tips for creating Pinterest ads that get your brand noticed. Don’t let your ads go unnoticed! Use imagery that stands out. 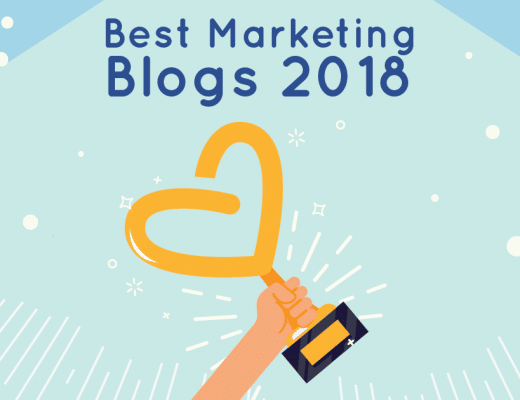 Let’s take a look at some of the eye-catching imagery examples Pinterest includes on its business blog. Designer Shoe Warehouse uses stunning colors that pop. Absolut Vodka uses motion and expert photography to create gorgeous imagery. Jonas Paul Eyewear plays on the “cuteness” factor by placing designer glasses on the faces of children dressed as business people. For Pinterest ads that get noticed, include stunning, eye-catching visuals that make your Pinterest ads pop. If you’re using Google Chrome, you’re probably used to seeing descriptions next to every pin in your feed. What you might not realize is that descriptions don’t show up in every browser. If you don’t include text overlays in your Pinterest ads, people viewing from other browsers may not know what they’re looking at. 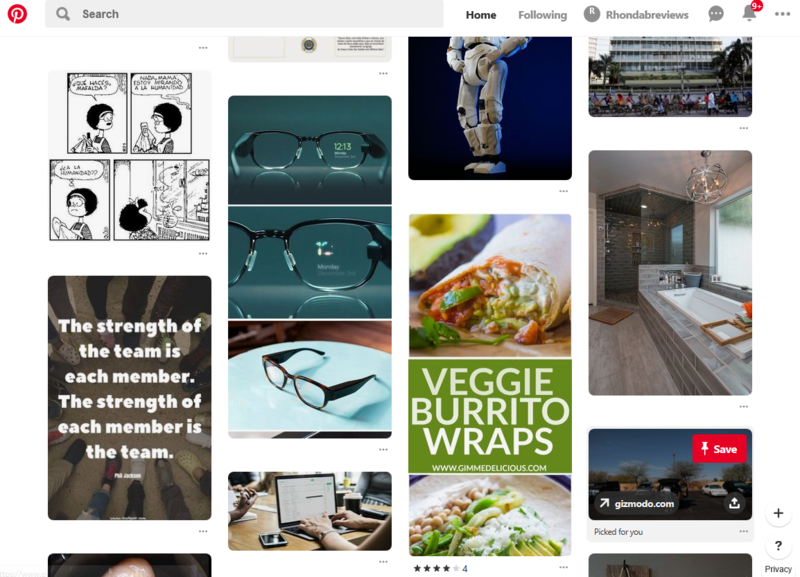 For example, below is a sample feed from a Pinterest home page viewed in Microsoft Edge. The Yanko Design smart glasses pin is easy to miss because, without the description, viewers have no idea what it is. Plus, it runs into the pin below it. Pinterest doesn’t look the same in every browser. That’s why clear, large text overlays on your pins and ads are necessary. In some browsers, the overlay may be the only copy viewers see. Be On Your Best Branding Behavior! Brand your advertising consistently across Pinterest and other social media networks. Match all paid advertising to appropriate landing pages. Don’t send your paid advertising traffic to your website’s home page or blog listings. Send visitors directly to the post, landing page, or offer promised in the ad! When creating your ads, align the copy and graphics with the landing page attached, so people know they’re in the right place. 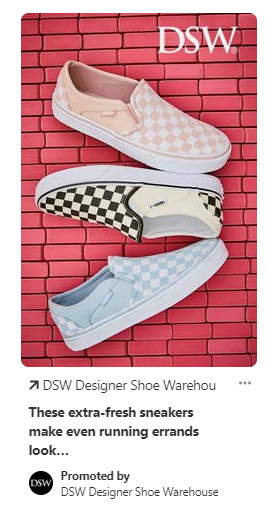 For example, Designer Shoe Warehouse Pinterest ad is an image of 3 pairs of stylish sneakers with the “DSW” logo in the upper right corner of the ad. When you click the ad, you land on a page that makes it clear you’re in the right place. 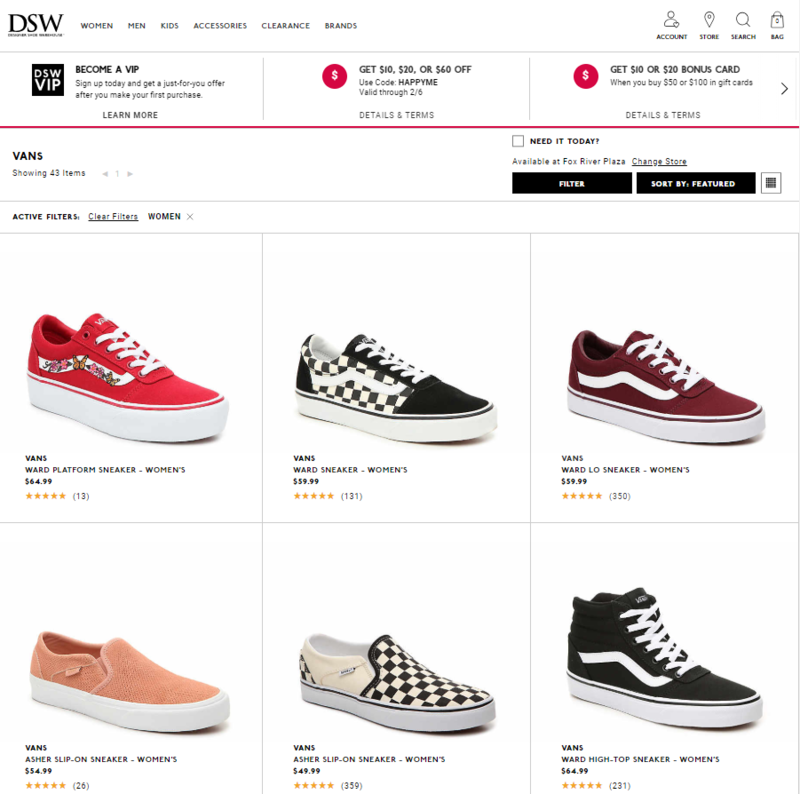 The DSW landing page for this ad includes the DSW logo and the same style of sneakers shown in the ad. Can you think of 1 or 2 ways this landing page could be improved? However, the DSW landing page is a great match because it gives users what they’re expecting – what was promised in the ad. Branding lets people know they landed in the right place. This is extra-important on Pinterest, where so many pins send people to random pages instead of the content promised. Be on your best branding behavior by maintaining consistency between your Pinterest ads and the landing pages they link to. Pinterest makes it easy for brands to reach consumers who are actively looking to buy. To advertise on Pinterest, set your goals, choose your ad format, and create ads that people can’t help but notice. Have you tried advertising on Pinterest? What ad formats did you try, and how well did it work for your brand?